It’s a new year, a new day and there are new beginnings here already at Office Reality. Growing in size, we even have a new starter! Unfortunately it is not him who will be blogging… still me I am afraid! Inspired by the New Year, my initial thought for my first 2016 blog was to write about the thoughts of “the first” day, expressed by our newcomer. But this was not possible as he is too shy. Maybe I scared him a little bit seeing as he doesn’t really know me. The main reason is that I ran out of time. He isn’t going to be shy for long with the Office Reality bunch, though! So moving on, I decided to look into what trends we may expect in the office interiors for 2016. The best part about interior design is always how design, trends and colours change throughout the years so it will be interesting to see how this all shifts again for this year! 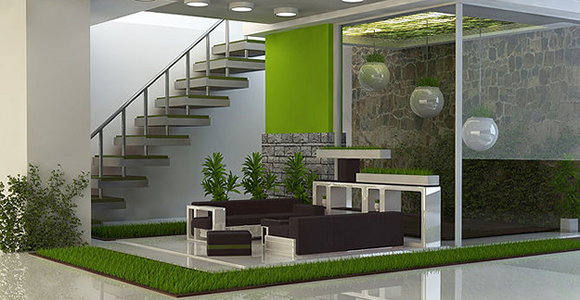 The ‘natural looks’ are expected not only to be created by the use of plants and structural elements. The natural element can also be created through the use of ‘earthly’ colours and finishes. For example, by using of pictures and painting walls. “Bringing the Outside In” is one of my previous blogs and yes, I am still waiting on my orchid! 2016 is already showing a trend in the office where closed and private workspaces, such as cubicles, are on the decline. Bench desking is becoming more popular and community tables are becoming a new favourite. It has been suggested that this trend is mainly inspired by the “google” effect and what they have achieved in their offices. It all encourages team interaction and for us, it is easier to pass food around…Bonus! Lounge areas and breakout areas are increasingly in demand for employees for somewhere to socialise and relax and with technology expanding, these areas will be accommodating to this increase. Especially technology items such as Aircharge. These spaces will also offer casual meeting space, moving out of conference rooms for informality. 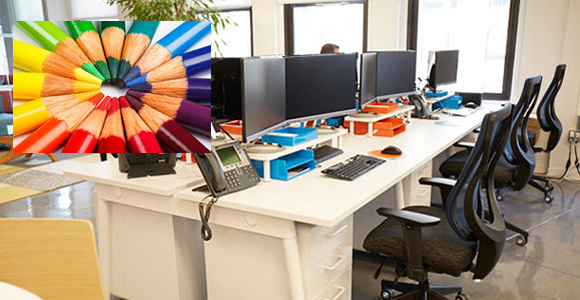 "I’m a strong believer that if you organize your work environment with colour, it will help your thoughts be more organized and colourful"
Colours play a very interesting role mentally, in the office. It has been suggested that the colours chosen may impact creativity and organised parts of the mind. Colours create a positive effect and stimulate the mind, and it looks pretty! Brighter colours are expected to be the more popular choice, having the “shock factor” take place. Inspiring visitors, increasing staff moral and creating a striking effect in the office. I am now wondering if I was to come into the office with a fluorescent tie and glow sticks, would I motivate my colleagues…? Might give this a try, the feedback could be my next blog?! Lighting is going to be important in 2016, too! The increase of open office space can be managed through the use of lighting. Brighter lights can be used in areas that need more focus and ‘subdued’ lighting can be used in confidential areas to take the attention away from these spaces. Look out for the increasing use of energy efficient lighting solutions that are being used in a way that creates a softer, more intimate working environment. 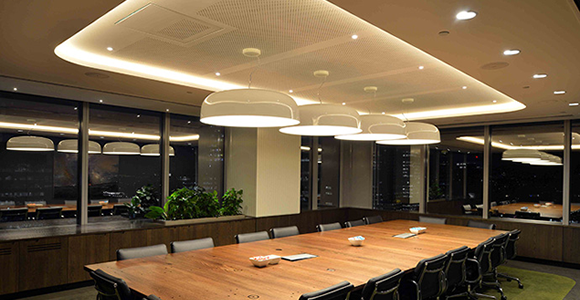 Lighting design will continue to be a popular choice and an important furniture item in office spaces. Many effects can be created by the use of lights and brightness and colour coincides with team motivation and focus. The main trend that I seem to have found so far for 2016 is that a few of my previous blog topics back in 2015 already covered these! 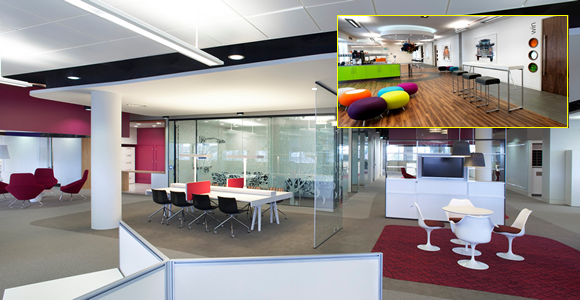 The main features are to remain the focus on the environment, use of colour in the office and lighting… I must be psychic! Maybe I could use the new chap to test my psychic abilities? What 2016 has taught me already is that there is definitely going to be some exciting times ahead! Here we go… Bring it on!